on a pair of semicircles that enclose the boundary of the stability region in the left half of the complex plane. 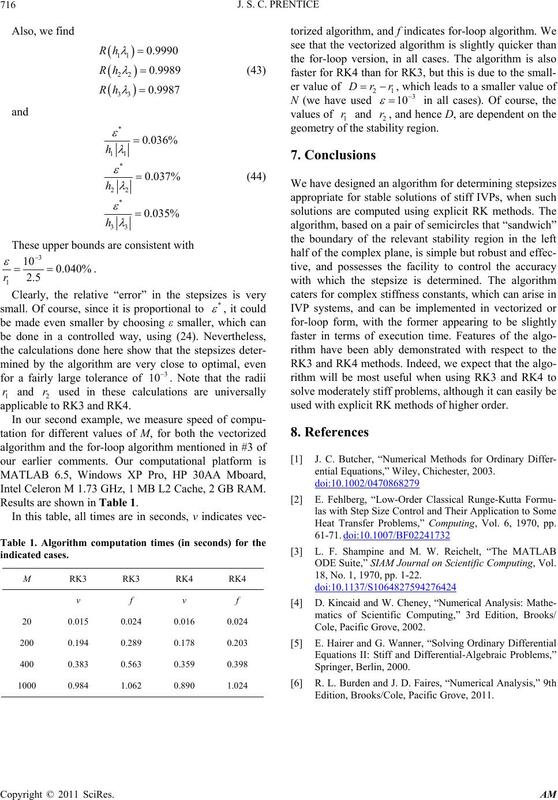 demonstrate the properties and capabilities of the algorithm. 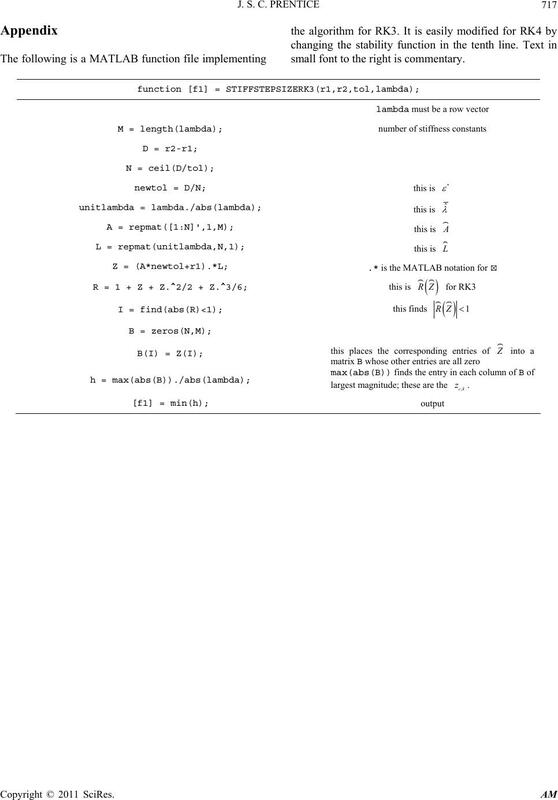 of the method is the entire left half of the complex plane. taining to an explicit RK3 or RK4 method. 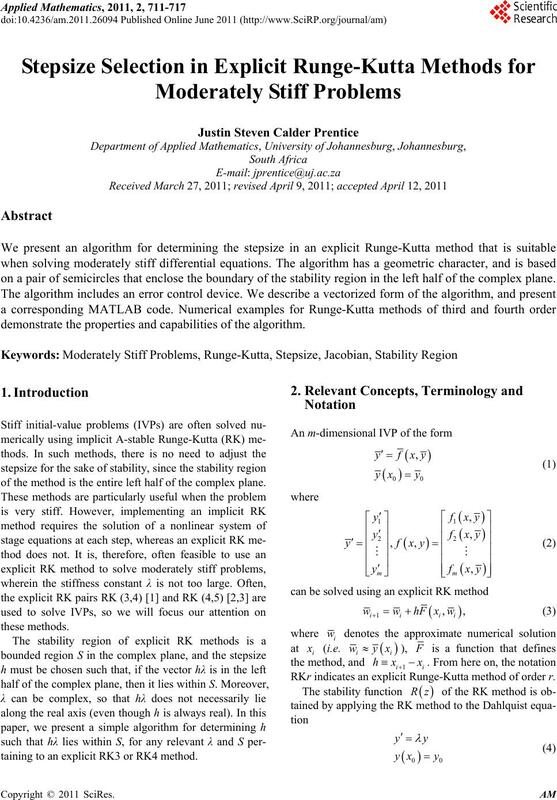 RKr indicates an explicit Runge-Kutta method of order r.
in the remainder of this paper. plex plane (see Figure 1). part are taken as the stiffness constants of the system. 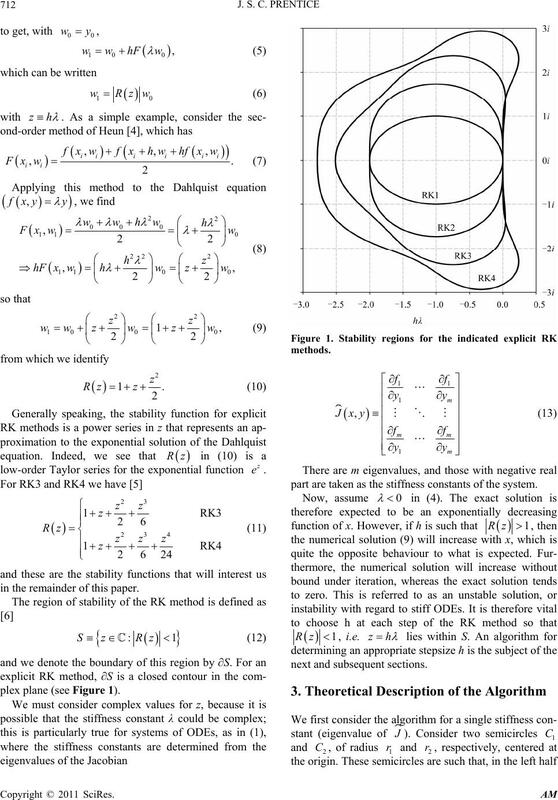 here holds for the stability region of RK4, as well. boundary of the stability region is indicated as ∂S. mum of these stepsizes as h in (3). nction for determining h for RK3. though this might depend on computational platform. and the third is close to the imaginary axis. geometry of the stability region. 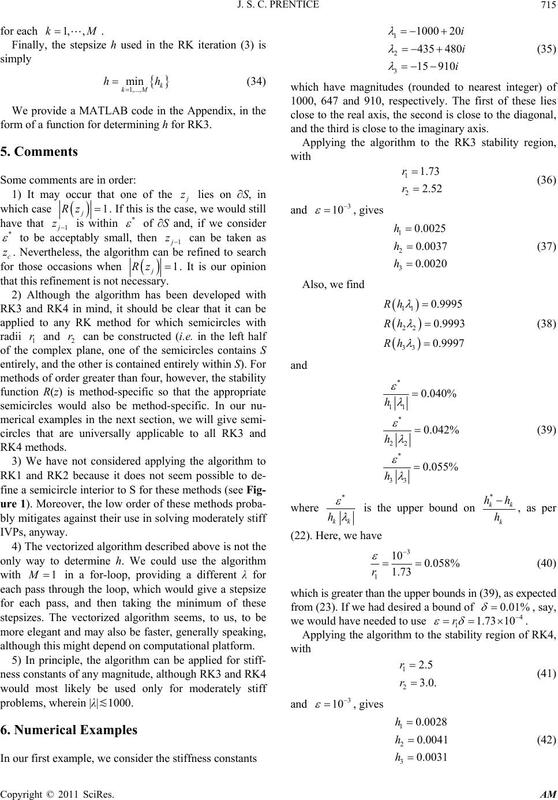 used with explicit RK methods of higher order. 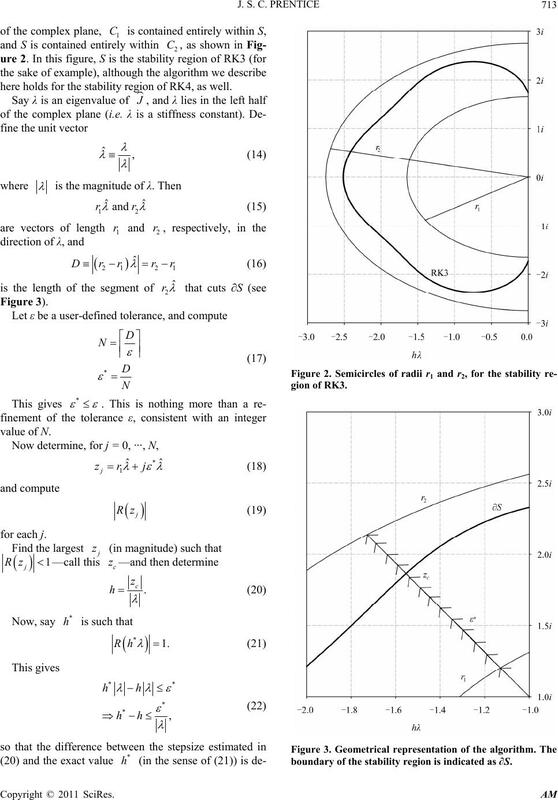 ential Equations,” Wiley, Chichester, 2003.
applicable to RK3 and RK4. Intel Celeron M 1.73 GHz, 1 MB L2 Cache, 2 GB RAM. Results are shown in Table 1. 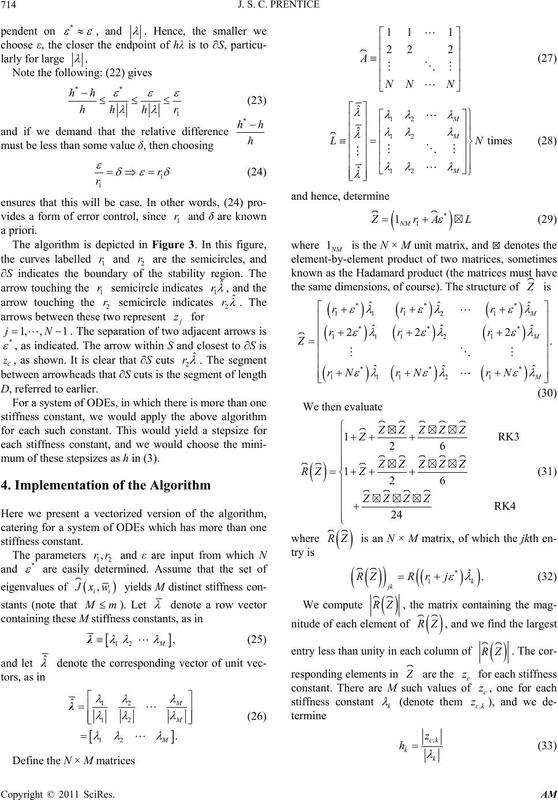 Problems,” Computing, Vol. 6, 1970, pp. 18, No. 1, 1970, pp. 1-22. Edition, Brooks/Cole, Pacific Grove, 2011.
small font to the right is commentary.